Buzz. Ouch. Slap. One down, one hundred quadrillion to go. While there are 3,500 mosquito species found worldwide, we only have to contend with 56 of them here in Wisconsin. This is cold comfort, though, when confronted by a swarm on a family hike or picnic. These small insects are mainly a nuisance for us in the summer months. But, for many people across the globe—especially those living in tropical climates—they are a constant threat, bringing disease and death to humans and animals alike. According to Jamee Hubbard, an associate professor of biology at the University of Wisconsin–Stevens Point, even though these tiny insects sometimes carry harmful parasites, they play an important role in healthy ecosystems. Many fish feed on mosquito larvae, which are aquatic, and plenty of birds and spiders and other insects such as dragonflies and damselflies feed on the adults. Hubbard says we have so many—and so many kinds—of mosquitoes because they thrive wherever there is fresh or brackish water, and because they have evolved in many different ecosystems over millions of years. Mosquitoes appear in fossil records from at least 90 to 100 million years ago, and some evidence suggests an origin more than twice as old. These are tough little bugs. While adult males typically die as the weather cools, the females of some species produce a kind of anti-freeze called glycerol that prevents tissue damage and can help them survive below-freezing temperatures, especially if they overwinter in an insulated hiding place. Other mosquito species survive the winter as eggs, larvae, or pupae in a state of arrested development known as diapause until longer days and warmer temperatures kick the wheel of life back into gear. The newly emerged mosquitoes start out feeding on plant nectar, using a pointy straw-like mouthpiece called a proboscis. Soon enough, they begin to look for a mate. Once fertilized, a female mosquito needs to find a human or other (preferably warm-blooded) animal from which to extract a meal of blood. Blood provides an essential protein for nourishing her eggs, which she will deposit in water. After landing on a host animal, she uses her six needle-like mouthparts to probe the skin for a blood vessel and inject a numbing agent and blood thinner. Taking between one and five minutes to finish her meal, the female mosquito leaves behind the bumpy pocket of histamine and swollen blood vessels we know all too well as an itchy mosquito bite. But in some cases the story doesn’t end there. When a female fertilized mosquito quenches her thirst for blood on a host infected with a parasite (often a virus), it can survive and multiply inside her. Subsequent bites by an infected female mosquito can in turn transfer the parasite to new hosts, and, with sufficient repetitions of the cycle, an epidemic may begin in a human or animal population. Whether it was the first recorded malaria symptoms thousands of years ago in China or the Zika epidemic unfolding across the Americas today, the basic transmission mechanism behind these diseases has remained the same. And although Wisconsin’s winters are inhospitable to the species of mosquitoes known to transmit deadly viruses, scientists from across the state are leading the fight against mosquito-borne disease around the world. We often think of major wars as taking the greatest toll on human life. But Daphne Pham, a professor of biological sciences at UW–Parkside, points out that the sum of all war casualties in history pales in comparison to human deaths attributed to mosquitoes. Fortunately for us, Wisconsin’s mosquitoes don’t carry any deadly diseases. Infection with West Nile virus, the most common mosquito-borne disease in our state can be hard to diagnose. While 80% of infected people don’t experience signs of disease, the remaining 20% have mild symptoms such as fever, headache, muscle pains, a skin rash, swollen lymph nodes, and increased sensitivity to light (a very small percentage exhibit severe symptoms). Contrast this with the malaria parasite, a protozoan of the Plasmodium genus, which is the world’s number one mosquito-borne killer. Transmitted by about two-dozen mosquito species in the Anopheles genus, malaria strikes half a billion people every year and kills about two million, half of them children in sub-Saharan Africa. The dengue virus, the world’s second-worst killer, was identified in 1779. Today about 2.5 billion people (30% of the world’s population) live in areas at risk of dengue transmission, and the disease causes about 25,000 deaths per year. Even though yellow fever is much better controlled—its last outbreak in the U.S. occurred in 1905—there are still hundreds of reported cases in South America and Africa every year. While chikungunya virus can cause fever and joint pain, death from the disease is rare. First detected in 1952 in East Africa, this virus is thought to have reached its peak in 2015 with 700,000 suspected and more than 37,000 confirmed cases in the Americas. Because the symptoms of mosquito-borne diseases overlap, it can be very difficult to diagnose them. It is also a challenge to track how diseases move in human populations because the mosquitoes that acquire viruses from infected hosts don’t always transmit them. It turns out that the virus itself has to overcome a few significant hurdles in order to be passed along. First, the virus has to travel through the mosquito’s proboscis to its midgut and survive an attack by the mosquito’s own immune system. Next, the virus has to use the mosquito’s cellular resources to make many copies of itself; inefficient replication results in copy numbers that are too low for transmission. Last, the viral progeny have to travel from the midgut back to the salivary glands to be passed on to the mosquito’s next victim. The ability of some viruses to overcome all of these obstacles is an example of co-evolution, says Jamee Hubbard: The parasite’s genes change in response to genetic modifications in the mosquito, resulting in better mutual adaptation over long periods of time. Since these coordinated genetic changes are rare events, the number of mosquito species that are effective vectors for disease-causing viruses is a small portion of the 3,500 that exist worldwide. In another local mosquito species Aliota tested, the Zika virus was able to enter the midgut, but only when viral concentrations were much higher than they would ever be in nature. Even so, since the virus was not disseminated into other tissues, transmission did not occur. Aliota jokingly describes these kinds of vector competence studies as “payback time” for all the mosquito bites he’s ever suffered; to count Zika viral copy numbers in test mosquitoes, Aliota has to rip off their legs. Perhaps the most dangerous mosquito on the planet, Aedes aegypti is the primary vector for not one, but four different viruses: yellow fever, dengue, chikungunya and Zika. According to the World Health Organization, the Zika virus was first identified in Uganda in 1947, but no major outbreak occurred until 2007. By that time, the virus had spread from Africa to the Pacific Islands—most likely via globetrotting human hosts—and had experienced a few genetic changes along the way. When the Asian version of the Zika virus reached the Americas sometime between 2007 and 2015, it encountered a large human population that had never before been exposed to it, resulting in more than 540,000 suspected and almost 200,000 confirmed Zika cases to date. Much like West Nile fever, a Zika infection in adults is asymptomatic 80% of the time, and hence unlikely to be detected outside of systematic population screenings. The other 20% of cases typically have mild symptoms, such as a fever, skin rash, joint pain, or red itchy eyes. Rarely, a poorly understood neurological condition called Guillain-Barré syndrome can cause muscle weakness and temporary paralysis in Zika-infected adults. Many babies born to Zika-infected mothers have hearing or vision problems, some of which may not become apparent until years later, or deformations of their limbs or skull. At the extreme end of congenital Zika syndrome is microcephaly, the abnormally small head of newborns whose heartbreaking images have brought Zika global attention. Some parts of the world have reported much higher numbers of microcephaly than others, prompting researchers to study whether a combination of environmental factors and Zika infection may play a causal role. With about 2,400 cases of congenital Zika syndrome since 2015, Brazil has seen an especially dramatic spike in infant microcephaly. At a conference in the fall of 2015, Brazilian scientists reached out to UW–Madison professor of pathology and laboratory medicine David O’Connor for help in explaining this distressing observation. O’Connor, an HIV/AIDS researcher who had hardly even heard of the Zika virus until then, soon found himself leading a fast-paced and intellectually stimulating research collaboration unlike any that he, Matthew Aliota, and their colleagues in Wisconsin and abroad had ever before experienced. Under the name ZEST (Zika Experimental Science Team), O’Connor assembled experts in mosquito-borne diseases, virology, immunology, radiology, placenta biology, obstetrics, maternal-fetal medicine, and pediatrics, to better understand how the virus impacts human health. The team went from hardly knowing each other in late 2015 to “communicating almost every waking minute since then,” says Aliota. O’Connor hit the ground running because his team was experienced in working with infected mosquitoes, mice, and monkeys and had access to facilities that meet all necessary biosafety certifications, including the Wisconsin National Primate Research Center. The team also benefited from long-standing relationships with researchers from Colombia and Brazil. Just as unique was a decision the ZEST group made early on: to share all the data from their animal experiments in real time through an online, open-access data portal. O’Connor had come to appreciate the ability of real-time data sharing to speed up scientific progress in 2014, when a Harvard colleague used the Internet to share genetic data from Ebola patient samples. “For samples that are hard to collect for one reason or another, there is an extra impetus to share data as soon as it becomes available,” O’Connor says. Not only does this “open science” model accelerate progress, it also mitigates ethical concerns about conducting experiments on non-human primates to improve human health. “We need to make sure that every [research] animal gives us as much information as possible,” O’Connor says, noting that the sharing of experimental designs and results can help prevent unnecessary duplication of animal experiments at multiple institutions. His team may be the first to push this concept of open science to its far edge, but O’Connor is convinced that other labs will soon follow. When researchers began to address some basic, but critically important questions about Zika, some of their answers were unexpected: Of all the Aedes-transmitted viruses, Zika is the only one to also be transmitted sexually, similar to HIV/AIDS; and the duration of an active viral infection was almost seven times longer in pregnant rhesus macaque monkeys, compared to their non-pregnant counterparts—a finding that was shocking to the ZEST team that first reported it. Zika still holds many surprises for researchers. 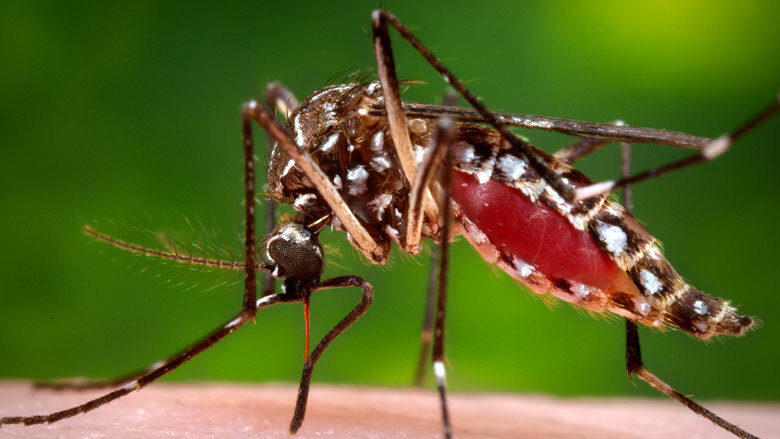 But the progress they have made on other Aedes-transmitted diseases provides them with a solid foundation for limiting not only the spread of this deadly mosquito, but also obstructing its viral delivery by using strategies that go beyond insect repellents and protective clothing. For example, the Eliminate Dengue Program (EDP), an international scientific collaboration headed by Scott O’Neill at Monash University in Melbourne, Australia, is utilizing an interesting approach to preventing mosquito-borne disease. Back in 1993, O’Neill had the brilliant idea of enlisting the common Wolbachia pipientis bacterium as a weapon against Aedes-transmitted diseases. Wolbachia pipientis, which occurs naturally in 60% of insects, isn’t found in Aedes aegypti. But O’Neill identified a particular strain of the bacteria called wMel whose introduction reduces the reproductive success of Aedes aegypti populations. It works like this: After male and female mosquitoes have been infected with wMel in the lab, matings between infected males and uninfected females produce eggs that simply don’t hatch, thereby terminating the mosquito life cycle. Matings between any males and infected females, however, produce normal numbers of offspring, all of whom also carry wMel. When the first batch of lab-raised, wMel-infected mosquitoes is released into a wild population as a biological vector control strategy, the effect on subsequent generations is small. But after about ten weeks of regular releases, wMel continues to drive itself into the wild population so that the vast majority of mosquitoes in the target region will eventually carry it. While this strategy doesn’t eliminate the entire mosquito population (which would be bad for the ecosystem), EDP showed that the introduction of wMel renders the bugs unable to transmit dengue virus. According to Aliota, the exact mechanism behind this is not yet clear, but a simple competition for the mosquito’s cellular resources may be at play. “If one pathogen comes into your body and takes over, it’s unlikely to allow something else to come in,” says UW–Parkside’s Daphne Pham. As a molecular biologist who studies Aedes aegypti, Pham understands the constant battle between host and parasite. “It’s harder for a second pathogen to come in and take away the nutrition [source from] the first one,” she explains. Whether it is competition for resources or a more complex mechanism, the wMel strategy appears to be remarkably effective in the lab. It is also safe for humans since wMel is too large to enter a mosquito’s salivary glands. Therefore, EDP is currently evaluating whether the release of wMel-infected mosquitoes in several field trial locations reduces dengue infection rates in human populations. Since Aliota and colleagues recently demonstrated that wMel also blocks the transmission of chikungunya and Zika virus in the lab, this strategy has the potential to protect humans and animals from multiple Aedes-transmitted diseases. There will almost certainly be more of these diseases down the road, O’Connor says, which is why he hopes to identify other viruses in non-human primates that have not yet caused a human health threat—but might in the future. “We are continually being challenged with these new viruses that are emerging seemingly from nowhere. But there’s some predictable pattern that we can use to assess the risk in much the same way as we forecast the weather,” O’Connor says, adding that neither the weather forecast nor predictions of new and harmful viruses need to be right 100% of the time in order to be useful. Silke Schmidt is a Madison-based science writer for UW–Madison. She has also written about energy, medical research, education, economics and the environment for UW–Milwaukee, North Carolina State University and the Wisconsin Center for Investigative Journalism.